Tekmira Pharmaceuticals (TKMR) popped on much higher trading volume than usual because investors are hopeful that health agencies in the United States might approve its drug, known as TKM-Ebola. But investors buying this stock now need to be extremely careful. CNN reported Monday that two Americans who were infected with the Ebola virus in Liberia were treated with a drug made by privately-held San Diego company Mapp Biopharmaceutical. Shares of Tekmira, which were up as much as 26% at one point Monday, gave up all of their gains following the CNN report and finished the day down 7%. The stock was up again in volatile trading Tuesday -- but the price is still lower than where it was Monday morning prior to the CNN story on Mapp. Meanwhile, shares of BioCryst Pharmaceuticals (BCRX), another small biotech working on a drug that could be used to treat Ebola, were up more than 5% Monday. But shares fell 3% Tuesday. 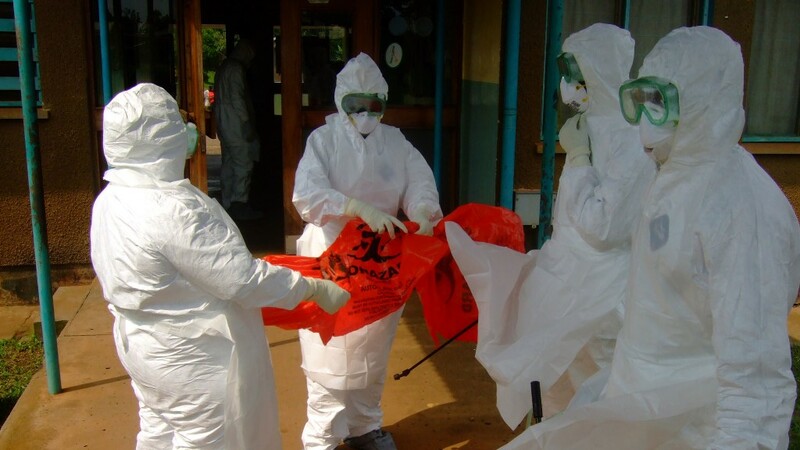 Jason Kolbert, an analyst with Maxim Group who covers Tekmira, said in an interview that it is important to note that the U.S. government is working with several companies on an Ebola treatment. So he was not surprised to hear that Mapp's serum was used on Dr. Kent Brantly and Nancy Writebol. He added that just because another medication was used, that does not mean that Tekmira's drug won't eventually prove to be viable. Tekmira does have a $140 million contract with the U.S. Department of Defense's Medical Countermeasure Systems BioDefense Therapeutics (MCS-BDTX) Joint Product Management Office to develop the drug. However, a clinical study for TKM-Ebola has been placed on hold by the Food and Drug Administration. Tekmira was not immediately available for comment. A spokesperson for the FDA said in an e-mailed statement that it could not comment on specific products and their trial results. But the spokesperson confirmed that Tekmira's drug did receive a so-called Fast Track designation in March. That means that "frequent communication between the FDA and a drug company is encouraged throughout the entire drug development and review process" and that the process "assures that questions and issues are resolved quickly, often leading to earlier drug approval and access by patients." In other words, Tekmira could wind up getting approved by the FDA. Or it might not. That makes the stock incredibly risky for the average investor who is not up to speed on the latest developments in medicine and biology. Like many small biotechs, Tekmira is not profitable and its revenues are miniscule. And investors often flock into these kinds of companies when major health scares are in the headlines. That was the case in 2001 after there were some worries about anthrax following the 9/11 terrorist attacks. 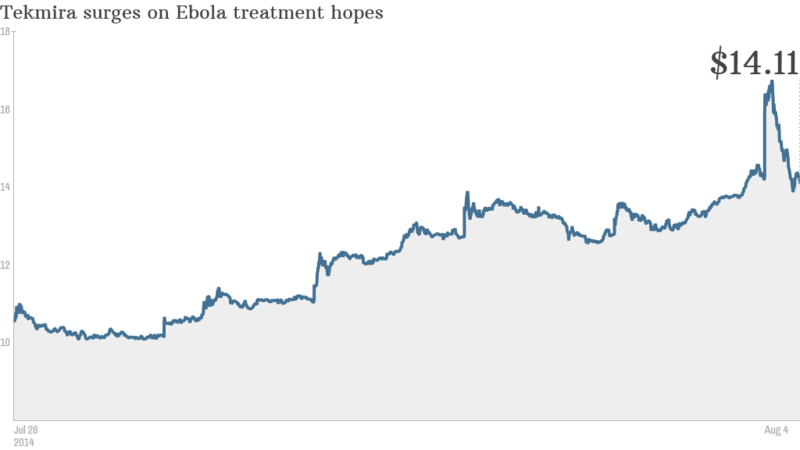 More recently, SARS, MERS and bird flu outbreaks have caused brief rallies in some small biotech stocks. But Kolbert has a "buy" rating on the Tekmira stock and wrote in a report Monday that the company could be generating more than $100 million in revenue from the TKM-Ebola drug by 2017. He also estimates that the company will be profitable by that year. He added in the report that the recent outbreak -- and the fact that Americans have been infected -- "may result in regulators expediting the TKM-Ebola project." "Nobody cares about these companies until there's a crisis," Kolbert said.